The owners negotiated a 125 year legal agreement with the RAF to maintain the runway, provide air traffic control and ongoing emergency services. Site sold to property developer Wiggins Group plc. Opposed by local Labour MP Stephen Ladyman. RAF faced a compensation claim of £50-100million if they closed the base and terminated their legal agreement with KIA so the site was sold to Wiggins for £4.5million and Wiggins inherited the legal agreement. RAF Manston closed. Site put up for sale. The airside portion of the base was signed over to the commercial operator of KIA. Brownfield site developer and fledgling ‘airport operator’ Wiggins Group said that its London Manston airport was ‘operating a full throttle’ even though the firm had yet to attract scheduled passenger flights to the former fighter base. Wiggins said that cargo traffic had increased so rapidly that the airport was at capacity and that talks to start scheduled passenger flights were ‘well-advanced’. Wiggins overstated its profits by £40million over five years and was censured by the Financial Services Authority and Financial Reporting Review. In 1998, for example, Wiggins reported profits of £5.1 million when it should have declared a loss of £3.4 million. IN 2000, the company reported a pre-tax profit of £25million when it should have recorded a loss of £9.9 million. Wiggins changed its name to Planestation Group. It acquired EU Jet, a low-cost airline. Kent County Council(KCC) and Planestation finance EU Jet. KCC took a 1.5% shareholding in EU Jet ‘in order to assist in the regeneration and development of East Kent.” Planestation invested £2 million in EU Jet in return for a 30% shareholding. EU Jet had insufficient funds to commence scheduled operations. Planestation exercised 100% purchase option on EU Jet and raised £30 million equity from the City to support it and fund its development. Thanet District Council agreed that the airport’s S106 required updating. KCC provided £100,000 for EU Jet. All EU Jet operations suspended and all non-freight operations due to the financial collapse of Planestation. London Manston Airport plc went into liquidation. Significant numbers of staff were made redundant. On 25 July 2005 PlaneStation announced the suspension of its public listing, stating that negotiations on extending its finance facilities with its bankers, whose position would seem to have been secured on property assets, had been unsuccessful. An Administrator was subsequently appointed to PlaneStation in the UK, with the Irish equivalent, an Examiner, being appointed to EUjet in the Republic of Ireland. Infratil, the New Zealand-listed infrastructure fund, agreed to take over London Manston Airport for £17 million from the administrator of the bankrupt Planestation Group. A charter route between Manston and Norfolk, Virginia, USA was to be established but never started due to low bookings. KCC had provided £300,000 to support the establishment of the route. The Kent Messenger used the Freedom of Information Act to reveal how its local council lost nearly £300,000 of taxpayers’ money. Paul Francis, political editor of the paper’s parent Kent Messenger Group, obtained documents under the act that reveal how Kent County Council (KCC) ignored the advice of its own advisers when it supported plans for weekly flights from Manston airport in east Kent to Virginia, USA. Only 800 tickets were sold for the flights out of a possible 10,000 and the weekly charter, run by the Cosmos airline, was scrapped in February this year, just weeks before the service was due to begin. Documents reveal how the council pressed ahead with the costly plans despite missing key deadlines that consultants said were “vital” in determining whether the scheme would be successful. CargoLux began flying for Ghana Airways from Accra to Manston. Operated by Seguro Travel, who used Sky Wings but swapped operators due to problems. Taken over by BNI for a period. Then flights then operated by Futura, a Spanish-based airline, but they ceased trading during September 2008 as did Seguro Travel. Daily service operated by Flybe to Edinburgh, Belfast and Manchester. Flybe scrapped its Manston to Manchester service. 2011 KCC and Infratil requested from national government a £600,000 ‘sweetner’ for an unnamed commercial airline allegedly planning a new daily service from Manston. Freedom of Information requests revealed that KCC and Infratil pressed for this taxpayers’ handout to underwrite the costs of the service for three years. In this ultimately unsuccessful bid for a share of Regional Growth Fund money, they argued that the six-figure subsidy was needed as the potential new operator faced a significant financial risk in setting up the service. Infratil put both its UK airports, Manston and Prestwick, up for sale. Manston and Prestwick recorded losses for the first 6 months of the yearof over £2 million. During the same period, passengers through both airports fell by more than 180,000 compared to the same period in 2012. Later in the year, twice daily flights from Manston to Amsterdam announced via KLM. Freedom of Information requests revealed that KCC provided £100,000 to Visit Kent to ‘market’ Manston routes. Previous postWould a successful cargo airport at Manston mean night flights? Pretty disgusting that they ‘sneaked’ out news of their real intentions with regard to night flights just before the consultation events. I lived in Ramsgate for 20 years and the noise from the illegal night flights which took place were always a problem. 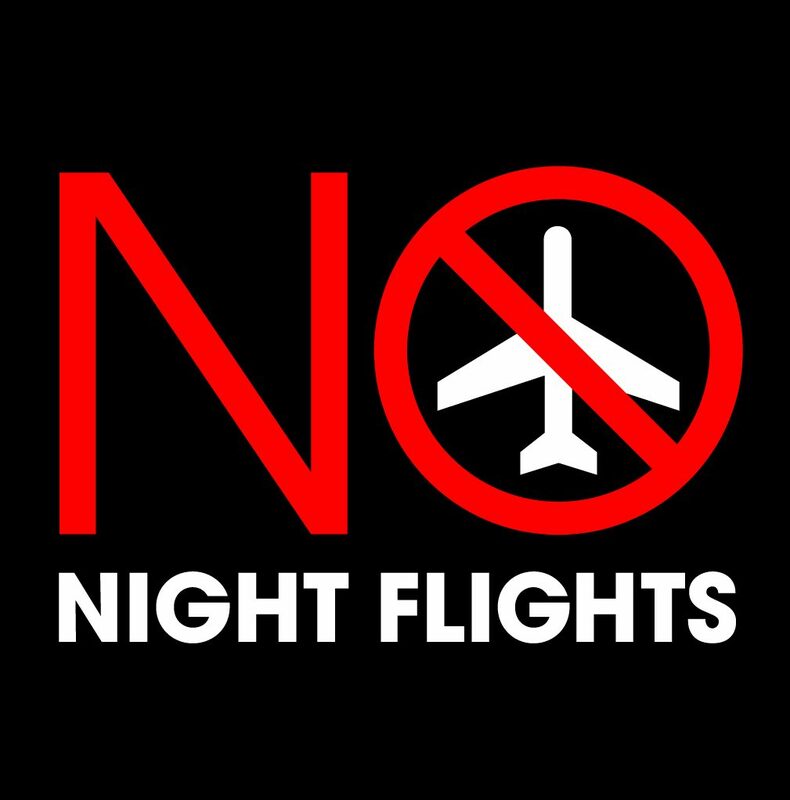 The night flights are definitely a problem, but what about the day flights? You can’t double-glaze your garden. The airport never had any kind of planning permission and certainly not for night-flights.